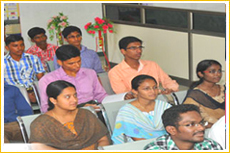 Kavery provides Diploma courses in various disciplines , under graduate and post graduate courses in Engineering discipline, Management and Education courses. Admissions in Kavery are based on the eligibility criteria of Tamilnadu government norms and they can visit the admission office in person or may enquire through on line / Phone registration. For B.E / B.Tech programmes the admissions is based on the scores in HSC (Academic or Vocational or Diploma) and apply for other terms and conditions of Kavery. For all P.G programmes in engineering the admission is based on the scores in the UG degree programme. TANCET score is given preference. For M.B.A / M.C.A degree programmes the admission is based on the scores in the UG degree programme either in engineering or Arts and Science and TANCET Marks. For Diploma programmes the admission is based on the scores in the X standard for First year and scores in the XII standard for the Direct second year / Lateral entry students. 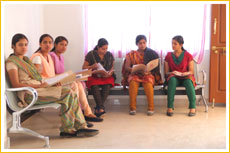 For D.T.Ed degree programme the admission is based on the scores in the HSC and can further apply as per the terms. For B.Ed and M.Ed degree programmes the admission is based on the scores in the UG degree programmes.